The Mockingbird Restaurant in Nashville, TN is a MUST. In fact, Lowrie Webber (foodie in his own right) said that it was the best meal in Nashville right now. 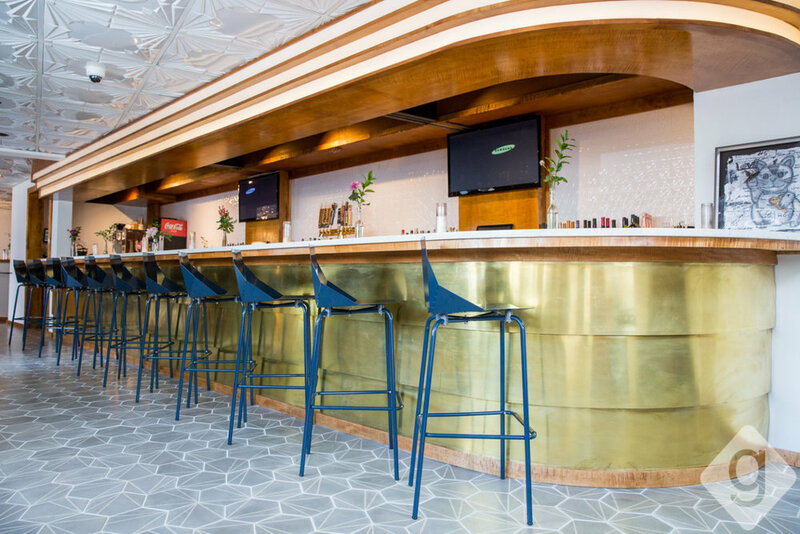 The Mockingbird, a modern diner serving up global fare and delicious fun, is led by the talented culinary duo of executive chef Brian Riggenbach and front-of-house extraordinaire Mikey Corona. Inspired by the restaurant’s namesake, Brian has created The Mockingbird’s menu to mimic its surroundings, offering comfort food favorites influenced by the many global elements that make up American culture and cuisine. Brian had the chance to showcase his skills on Season 24 of the Food Network’s award-winning show “Chopped.” He not only walked away the victor, he also reconnected with long-time friend Maneet Chauhan and the concept for The Mockingbird was born. At the time they met, Brian was doing Underground Supper in Chicago. Maneet was so impressed with him that she asked what the next step would be. He wanted a restaurant of his own! She brought Brian and Mikey to Music City to wow the locals and tourists alike. 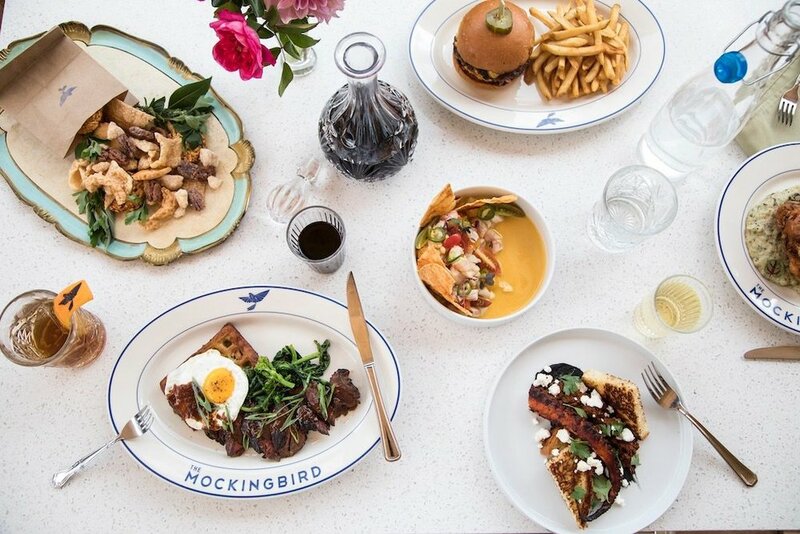 The atmosphere of The Mockingbird is like a modern-day diner. They have global takes on comfort food. How appropriate for Nashville!! With the funky ambience and amazing cocktails, you can’t wait to see what’s for dinner. Let’s talk cocktails… The cocktail menu is very different than other restaurants. The signature drink, Tequila Mockingbird, is a beautifully crafted tequila cocktail with lime and egg white. Don’t let the egg white throw you off, it is simply delightful. It comes with a mockingbird floating on top of your drink. The other crowd pleaser is their Punch. We had punch with rum, guava and lime served in a bag with a straw. You can pick your alcohol in this drink. 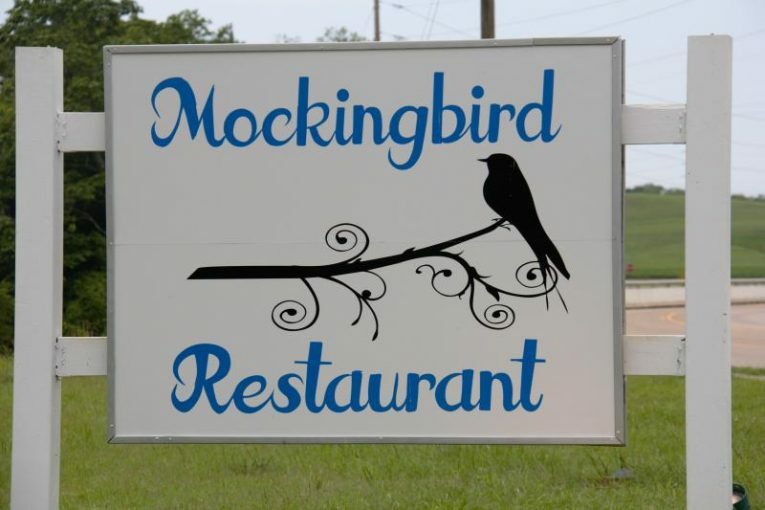 OK, the main reason we want to give a shout out to The Mockingbird is the FOOD! There are no words to express the decadence of these southern staples recreated! For an appetizer, don’t miss the grilled cheese, whipped brie, jalapeno jam, and chimichurri. For the entrée, the best thing on the menu is “The Bird is the Word.” Imagine chicken fried chicken thighs and chorizo gravy served atop salsa verde mashed potatoes. It is truly an experience on a plate. We also really enjoyed the “Seoul Purpose,” which is hangar steak, fried egg served over a potato latke waffle. Shout out to our server, Emily, who described each course perfectly. 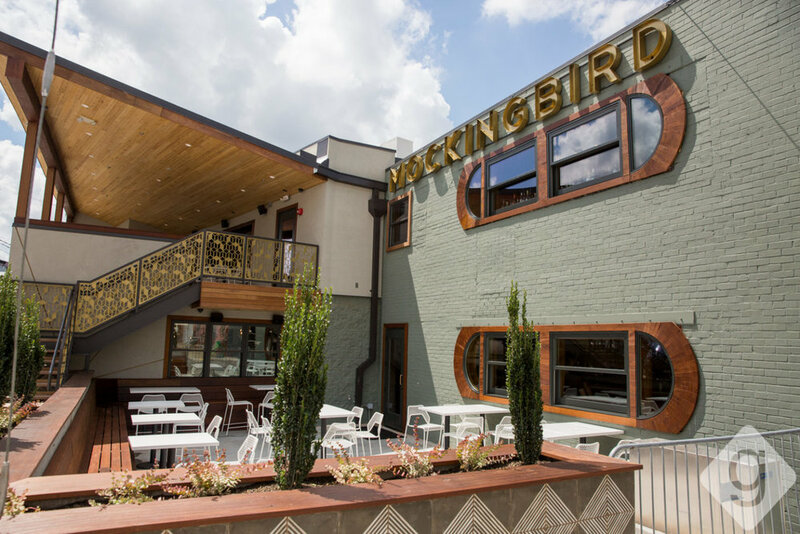 Take it from a couple of Nashville natives, The Mockingbird is worth a date night!